Five o’clock hits at the same time all along the West Coast and we are so ready for happy hour. 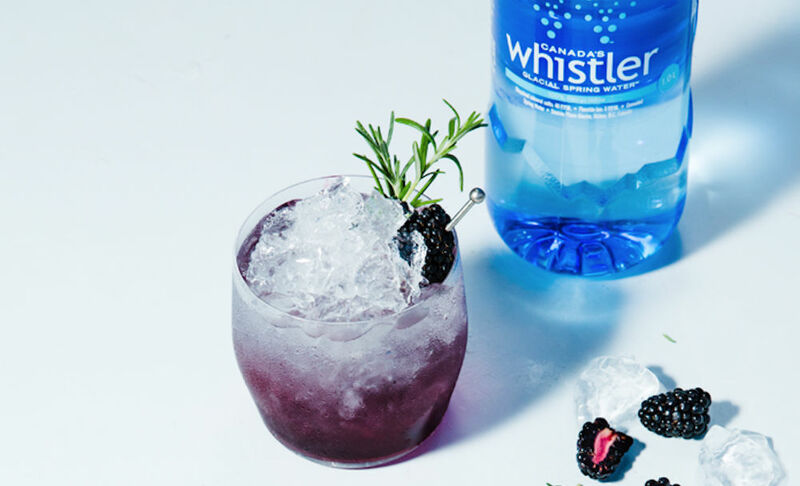 So are our friends to the north at Whistler Water who have concocted a delicious Blackberry Bramble cocktail with their glacial water. Grab some berries and Whistler Glacial Water from Gelson’s or Bristol Farms to join us for a West Coast happy hour. 1. Combine syrup ingredients in a pot and cook over low heat until thick and jammy, about 20-30 minutes. Pass the mixture through a sieve to remove the seeds, then set in the fridge to cool. 2. To assemble the cocktail, fill a glass with crushed iced. Add the gin and lemon juice first, then pour in the shot of blackberry syrup. Fill remainder of glass with Whistler Glacial Spring Water. 3. Garnish with blackberries and rosemary. Make any time of day happy hour by skipping the gin and adding more Whistler Glacial Water. Find all ingredients at Gelson’s and Bristol Farms. Whistler Glacial Water springs from the peaks of the Coast Mountains just north of Whistler in British Columbia, Canada. Moving from glacier through granite rock to their protected aquifer, Whistler Glacial Water is naturally cold filtered to provide the freshness of a mountain in every bottle.